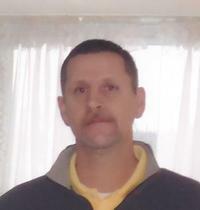 Michael W. Davis age 44, of Ashland, died Thursday May 9, 2013 at Samaritan Regional Health System. He was born in Ashland on November 19, 1968. Michael was a graduate of Ashland High School and had been a resident of Ashland most all of his life. He was a Supervisor for Archway- Snyder- Lance Corp. for the last 8 years and had previously been a supervisor for Rite Rug Carpet in Columbus for several years. He had attended Ashland Brethren in Christ Church, was a member of the Ashland Moose Lodge, and is a veteran of the U.S. Army. Michael was very active in youth sports, coaching softball, baseball and football. He also enjoyed the outdoors and camping. On May 6, 1995 Michael married Lynnette (Rickett) Davis who survives. Other survivors include his daughter, Michaela Davis of the home; sons, Christopher (Fiancee Brittany Smith) Davis of North Carolina; Justin Davis of Detroit, MI., Dustin Davis of Willard, Ohio; one granddaughter; four half-brothers; along with three half-sister. Friends may visit with the family at the Heyl Funeral Home on Monday May 13, 2013 from 12:00 P.M. to 2:00 P.M. and 4:00 P.M. to 6:00 P.M. with a funeral service at 6:00 P.M. with Pastor Matthew Davis officiating.